First look at the upcoming biblical drama. Christian cinema traditionally conjures up images of low budget productions starring washed up former child stars, but in recent years we've seen respected filmmakers like Martin Scorsese (Silence), Darren Aronofsky (Noah) and Kevin Reynolds (Risen) deliver movies aimed primarily at a religiously inclined audience. 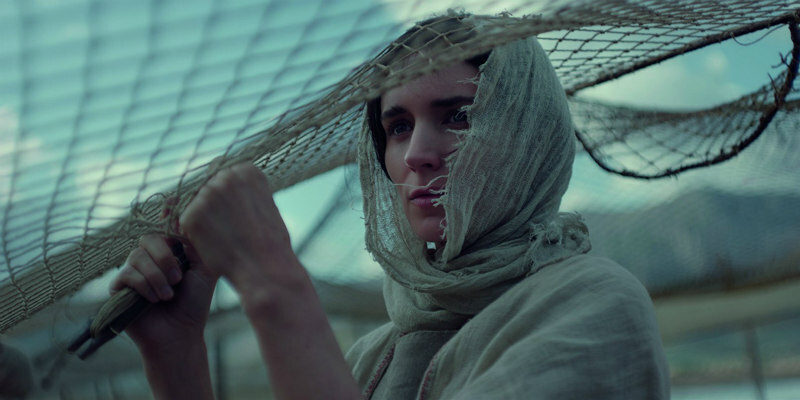 The trend continues as director Garth Davis follows up his Oscar nominated drama Lion by reuniting with Rooney Mara to tell the story of Mary Magdalene (her son is quite famous - google her!). The film also stars Joaquin Phoenix as Jesus (of course it does! ), along with Chiwetel Ejiofor and Tahar Rahim. Mary Magdalene is in UK/ROI cinemas March 16th 2018.